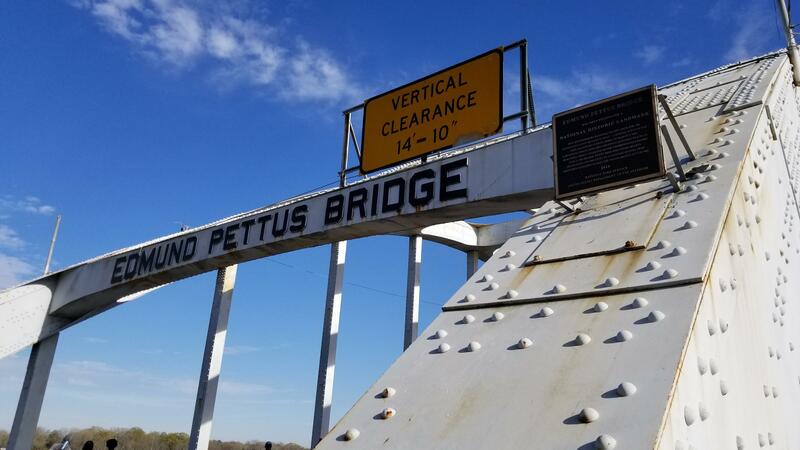 Edmund Pettus Bridge, Selma, Ala. The treasurer of the city of Selma is suing to be reinstated to her position, even as city officials continue to wrangle with a budget crisis that sparked 68 layoffs. Local news outlets report Selma Treasurer Ronita Wade sued Tuesday in Dallas County Circuit Court demanding reinstatement to her position. Wade had been placed on leave three times since 2017 by Selma Mayor Darrio Melton. Melton says Wade is under investigation for criminal misconduct. Wade says she is unaware of any such investigation. The Selma City Council has twice reinstated Wade, part of a power struggle over who will appoint department heads and control city spending. Melton says Selma is broke and must cut spending. He's decrying a City Council proposal to divert $400,000 that he says is earmarked for schools in order to reinstate laid off employees.